Humans are the most intellectual creation that has walked the face of this earth and it won’t be long before we lose our title to “something” else. A product of our very own creation what we now know as Artificial Intelligence. We are moving towards a time when the machines are going to be more human than humans themselves. The current technology, no matter how well it can mimic human interaction, lacks the base human emotions and it’s not going to be a huge leap from where we stand to overcome this. Most of us know about Siri, the personal assistant in apple iPhones . Microsoft has Cortana and similarly we have many software and apps which can imitate this functionality that gives us the sensation of real human interaction. The kind of programming which is used to provide this is known as Natural Language Processing, and one of the first programs ever to perform interactions with human beings was the program called Eliza, based on the character in George Bernard Shaw’s Pygmalion. And this program was authored by Joseph Weizenbaum (January 8, 1923 – March 5, 2008), a computer scientist with major contributions to the field of Artificial Intelligence. Born to a Jewish family in Germany, he emigrated to US during the Second World War. He obtained his Ph.D from the Wayne State University in Detroit. After a few years in this field he entered the Massachusetts Institute of technology (MIT) where he has held faculty position since 1955. His early contributions were the list processing system SLIP and a natural language understanding program ELIZA. A natural language understanding program decomposes the sentence and breaks it down and then it uses the keywords to trigger conversation. Weizenbaum was shocked to discover that many users got seriously involved with the conversations that they didn’t want to provide transcripts or even let him be in the room as they ran the program. The conversation would eventually fade out because the machine lacked the base human emotions. This incident made Weizenbaum think about philosophically about the implications of Artificial Intelligence. This motivated him to write Computer Power and Human Reason: From Judgement to Calculation. In which he was ambivalent in his view about the computational power and the limits that it had. In 1996, he moved back to Berlin and lived in the neighbourhood where he spent his childhood. After his death, to honour his contributions , The Weizenbaum Award established in 2008 by the International Society for Ethics and Information Technology, is given biennially. The movie Plug & Pray, a small documentary film that features him, his thoughts about artificial Intelligence that released in 2010. 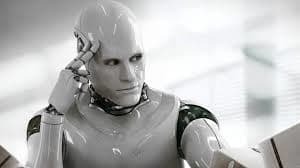 In his Computerized God and the age of information, he said that even after the human race seize to exist, the artificial will continue to carry on, because “intelligence in some sense is the purpose of the universe”. Even if the earth were to perish, we have sent we have sent computer into space, which will continue with its computations, and with the artificial intelligence taking a stride forward, “Soon, according to this apocalyptic vision, these computers will be able to reproduce themselves, and when they do, the human race will have accomplished its purpose.” And we only realise that the virtual gods are we humans as we accomplish our purpose in the continuity for the thirst of intelligence, and to keep learning. Things You Dint Know About Ancient India’s Contribution to Science and Technology Now you see me! GEORGE WESTINGHOUSE – “Bringing the Railway train to a halt!” Into the Universe with Stephen Hawking.